Cubix estate agency is based in Elephant & Castle. 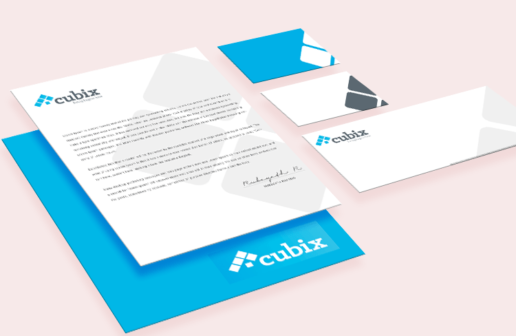 Cubix offers local expertise along with a real commitment to the local community. Tekcabin worked with them to create a business brand along with their logo, tagline, all aspects of stationary such as client booklets, leaflets, packaging and more. 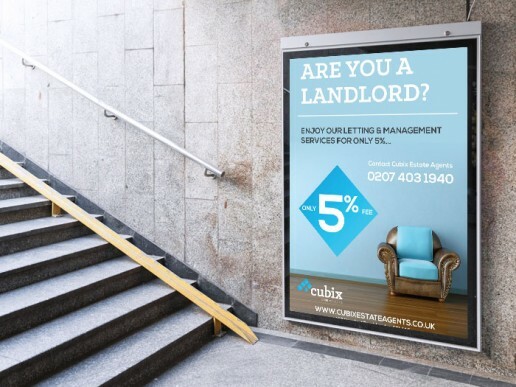 Once the Cubix look and feel was generated, Tekcabin was able to help them incorporate this into their offices by assisting with outdoor signs, wall prints, window signs and their estate agent ‘For Sale’ boards which are placed all over London. Tekcabin has also worked with Cubix to assist them with local search engine optimisation, by optimising their website to be found by local property owners looking to rent and to sell, and potential tenants and clients who are looking for a new property in London.